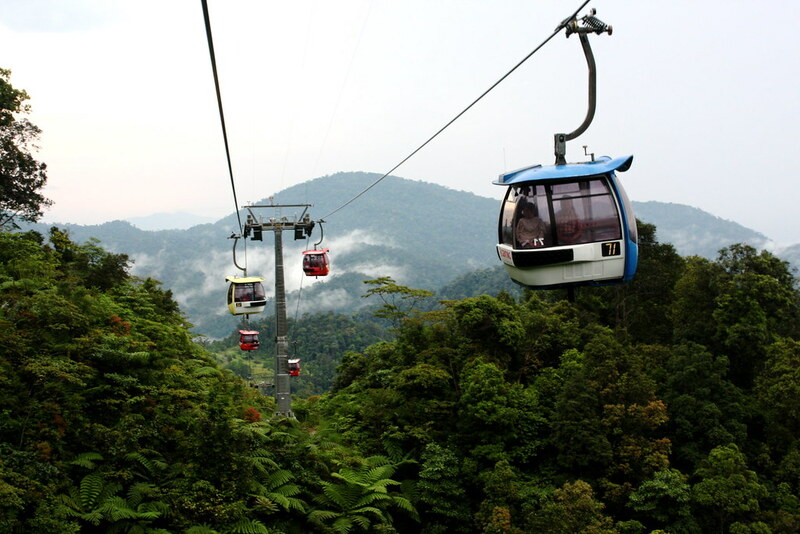 When visiting Genting Highlands, there is nothing I want more than riding the gondola lift that connects Gohtong Jaya and Resorts World Genting. Yes. The Genting Skyway! It’s really fun and I love it. We came here after Batu Caves, got a cab to Gombak station then went to the Go Genting booth to purchase our tickets. Taxi drivers were all over us to get a cab ride to Genting Highlands – going up to as high as 80RM. The bus coach costed only 18RM for two adults so you can save so much. The bus was really awesome – had lots of room and A/C blasting 🙂 They run every hour. The station also has food available for purchase. After getting off the bus you’ll go upstairs to catch a cable car to Genting Highlands. It is so peaceful!!!! The view is awesome. Be sure to bring a jacket because it’s really chilly up there! Shopping centre is big, there are lots of restaurants but many will deny entry if you are wearing shorts. There are lots of shops, money changer near Rico Galleria or upstairs at the Casino. Indoor arcade was quite fun, there’s lots of racing games and carnival type games as well as the traditional arcade games. We had an awesome time here! Highly recommend you to visit!!!!! Located in higher ground, it offer you both outside and inside theme park. There is a roller coaster which positioned you superman-like! The best thing about Genting is the cable car ride at 6000 ft…its completely safe but at the same time so exciting, specially for grown up kids, this is a must go. The whole theme park is full of fun, activity and buzz. Overall, a day worth spending. We stayed near the outdoor theme park resort.The resort is great and the weather was very pleasant,not very cold but very cool. The hotel staff upgrade our room and gave us us a room with a King size bed. The theme park is very big(both the indoor and the outdoor)and since we could not cover the entire park in one day we extended our stay for another day which i feel is a must.People who enjoy thriller rides ,there are plenty for them go get an adrenaline rush. 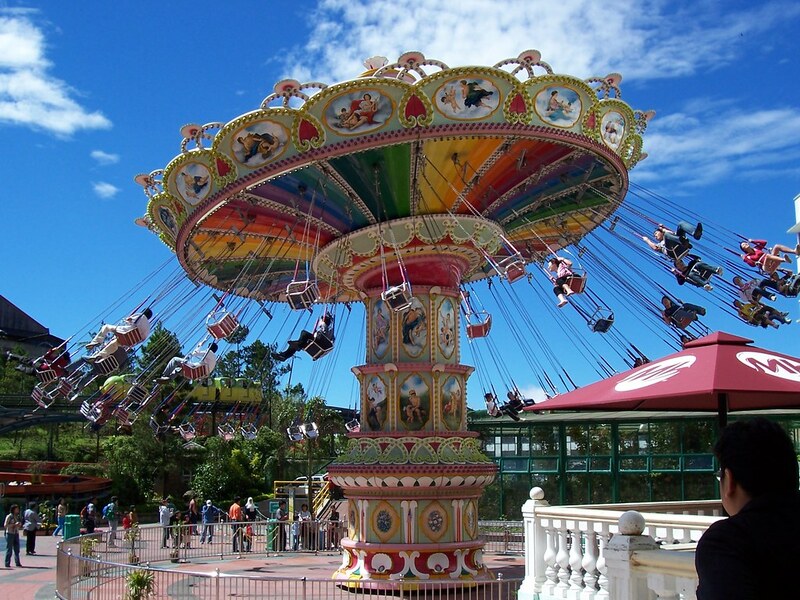 Lots of rides for kids makes it a perfect place for a family holiday.A must see place for anyone visiting Malaysia. If you are looking for round-the-clock excitement in the cool highlands, the glitzy ‘City of Entertainment’, Genting Highlands beckons. Situated some 1,800 meters above sea level and just under an hour’s drive from Malaysia’s capital city of Kuala Lumpur, Genting Highlands is popular among locals and foreign visitors for its fine mix of tranquility and thrilling attractions. 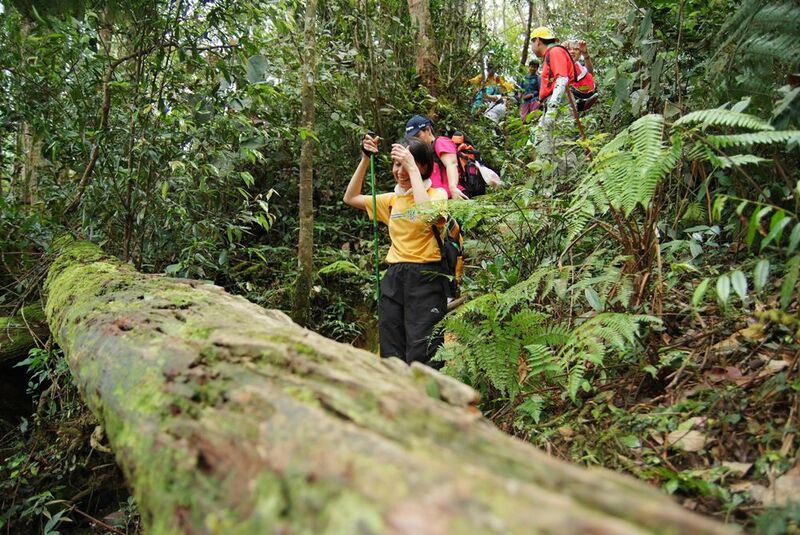 The pace of life quickens as you journey upwards from the foothill towards Genting Highlands at the summit. The idyllic township of Gohtong Jaya and the peaceful Awana Genting resort nearby, give way to the fast paced international resort ambience at the top. The main draw of this ‘city in the clouds’ is the abundance of indoor and outdoor theme attractions. 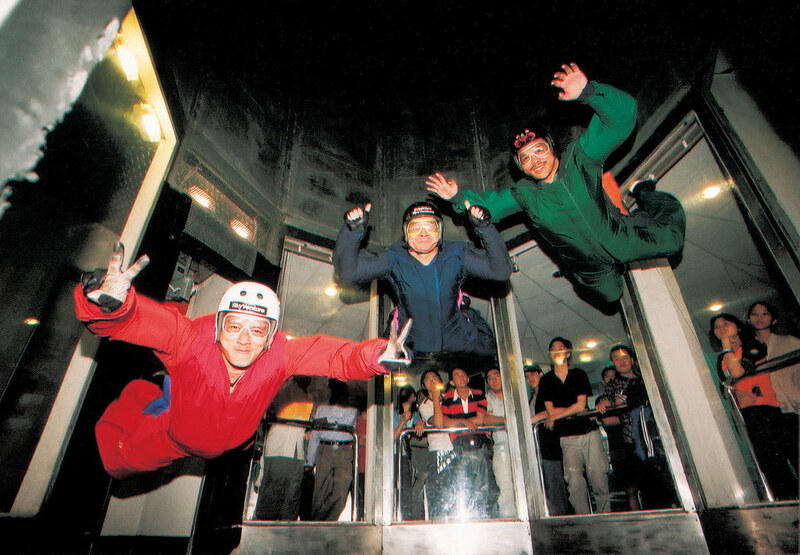 Experience first-hand the exciting Sky Venture, Asia’s first skydiving simulator; give your lungs a good workout with the heart-rending Corkscrew, the adrenaline-pumping Space Shot or the mind-numbing Spinner. Be it the romantic gondola or stomach-churning roller coaster rides, the wild, wet Water Park or mesmerizing Snow World, the bountiful bowling alleys or the taxing X-pedition rock climbing wall, Genting promises endless thrills. Aspiring pop divas will love the Be A Star Karaoke session, while party animals can dance the night away at the Cloud 9 Discotheque. It’s at an affordable rate per game. Take the centre lanes, it’s better to bowl. We had so much fun here! A chance for us to be children again. My bowling skills are shocking but that didnt stop me. 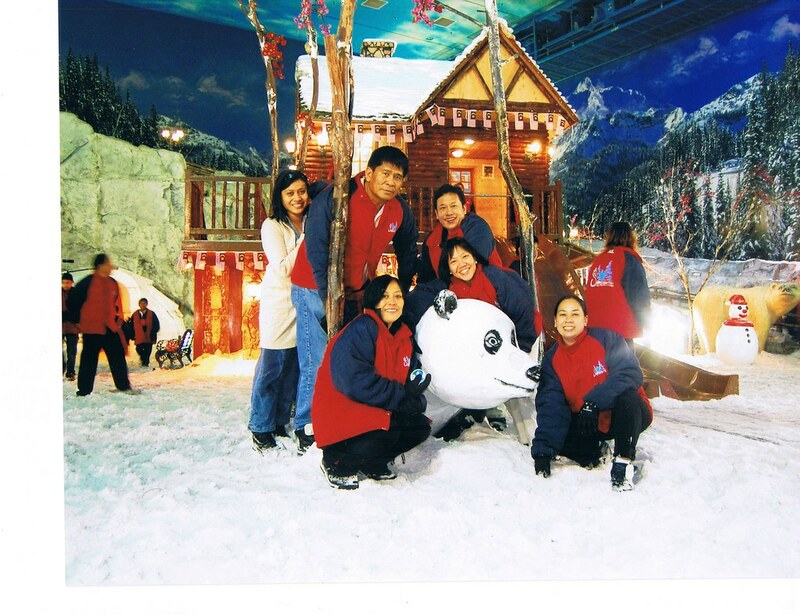 If you have lots of time in genting recommend to do this activity! 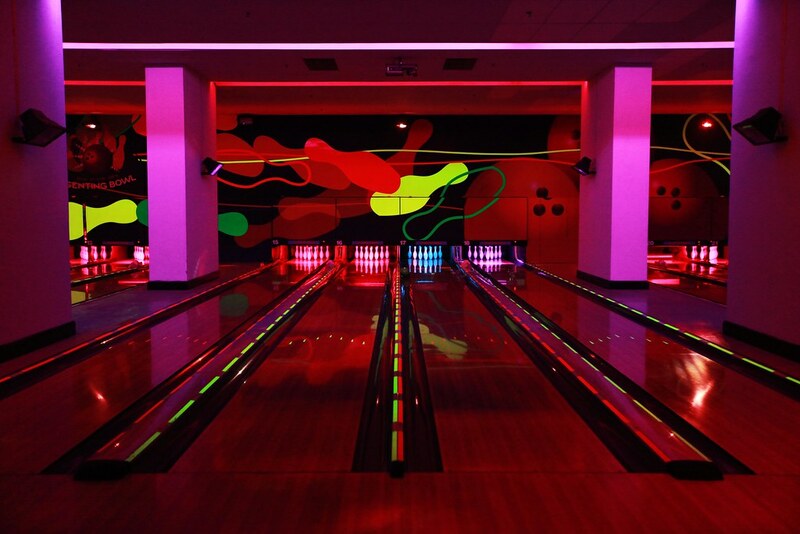 Love the glow in dark lane bowling experience ! Now 3game for rm10 is super worth. Not to forget the staff is friendly too. A must do activity when you are in Genting ! The best so far I’ve tried! I love bowling! But in Singapore, there’s nothing like this with the music blasting in the background that gives you the kind of hype, it’s cool! However, according to bf, the lanes not so smooth. But for me, i’d say the lane is 6.5/10. It’s pretty ok for me. A bit pricey so we played only 1 game.This place is located near the archery. Easy to find. Only downside is that the music can be too loud. If only they lower the volume down just a little bit so everyone could hear each other’s voice, would be great! Couldn’t enjoy most of the rides…as there was lot of fog and they had closed down most of the rides owing to poor visibility. I however did try a ride. Can’t recollect the name of the ride…I guess it was called the superman ride (at least that’s what I thought). Wouldn’t recommend this ride for people with fainted hearts….I thoroughly enjoyed this ride. The ride takes positions you in flight mode (superman style)…and from there it is pure speed, turns, swirls…etc. I never screamed this loud in the recent times. Theme park is good but mostly for Kids the only thing adult can enjoy is Casinos and Restaurant. One day is more than enough and second day you will get bore. But worth to spend 1 day here. I have visited genting twice so far.This place is amazing funfilled destination which is very accessible from singapore and nearby places. This getaway is a thrilling place for enjoying and to runaway from day today chores of life. The indoor themepark is lively 24 hours. First world hotel(guniess record for world’s largest with maximum rooms)is nearby. 2 days would be sufficient for this place. Casino here is amazing too. The cable car is very nice experience. The outdoor themepark is amazing with numerous rides. The trail is easy as there’s a lot of “caution tape” marker along the way and you wont miss it. It’s better if you go there with someone with experience or it will be confusing at the start of the journey and you might miss the right way to the peak. I really enjoy the hike overall as it’s really chilly and lots of nice things to see. Bring jacket and gloves as you might need it. The hike took >7hrs in total including rest time. Celebrated Deepavli of this year in Genting with my brother and hubby! Was shocked when realize there are a strawberry park in genting! No entrance fee but not for lavender garden, but it only cost RM3 for adult and RM1 for children. You can ask assistance from the cashier if you want to pick your own strawberry; RM8 per 100g. Its a new experience actually. The lavender garden was very beautiful and I took so many photos! I felt like i am in oversea with the weather and the garden! 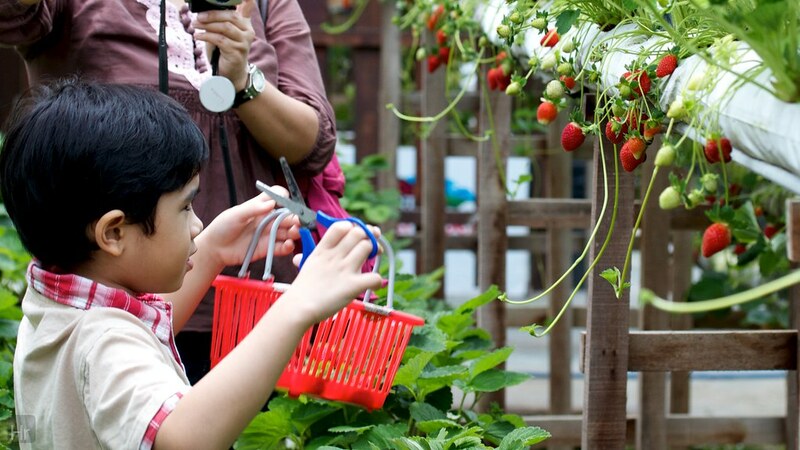 Genting Strawberry Farm is just about 45 minutes driving-distance from KL. It is located at Gohtong Jaya, somewhere near to the cable car station. The farm is perfect for a short family trip. There is no entrance fee to the strawberry farm. If you want to pick your own strawberries, just ask for assistance. The worker in charge will give u a basket and a pair of scissors. After picking, just go to the counter to weight your strawberries and pay accordingly. RM 8 for 100g. It’s a bit expensive but we had a fun experience there. There is a lavender farm, a mushroom farm, a coffee house and a row of shops behind. 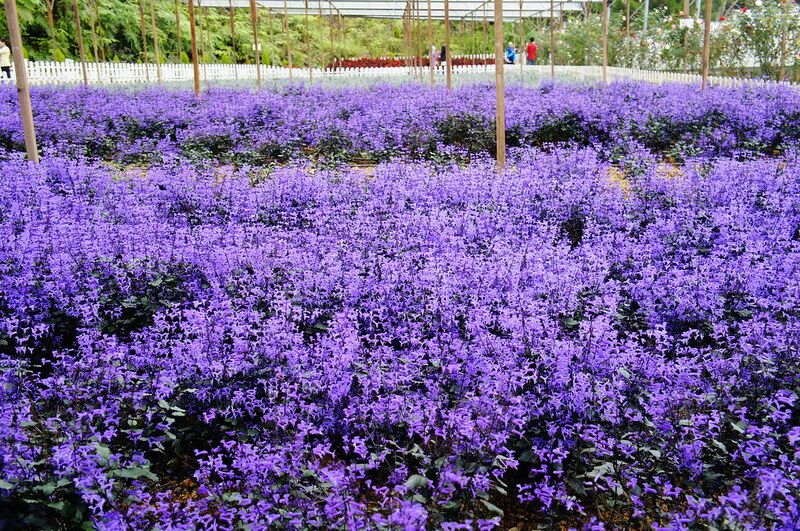 However, the lavender here is not the same as what I saw in Australia. I couldn’t smell the fragrance from the flowers. I think this is another species which is ‘close relative’ of lavender. 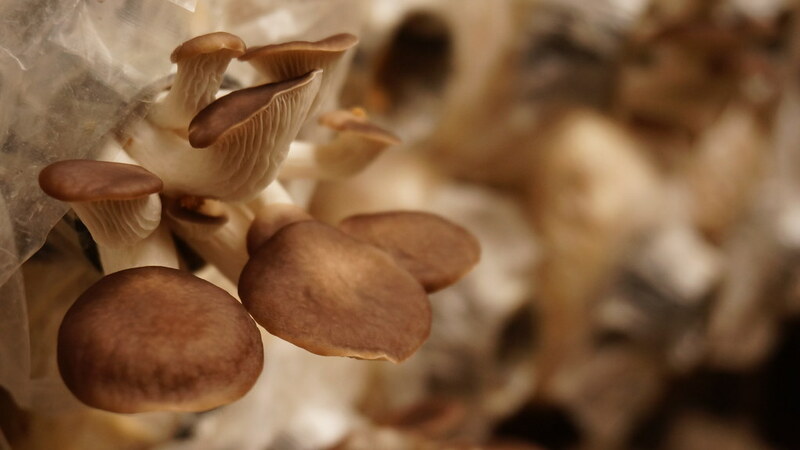 There are many types of mushrooms in the mushroom farm. This is where I learn how people plants mushrooms in plastic bags. My trip to the farm ended with a cup of strawberry coffee at the coffee house. I went there with my family and little nephew, 4 years old, who had a lot of fun running around picking strawberries. Entering the farm was free except if you wanna go inside the lavender garden, which was behind the picking strawberry area, you had to pay RM3 for adult and RM1 for child which I think was not expensive at all coz the garden was quite nice and great for taking pictures, anyway, it’s quite small though. There’s one way in, one way out, which will lead you through mushroom farm and many shops. Quite a long walk and had nothing special along the way. Last, it’s good for family who don’t like to go to casino or theme park, this will be a good choice for you. Just around 20-25 mins by taxi from our hotel, first world. Kids will just love them, the slide, the temperature, the false snow & structure is good within the shopping centre. A different experience to add in to the coolness of Genting. It is not that perfect snow world, but still good to enjoy time with family and kids at -6 degree temp. There is fees for 30 MYR which makes it little costlier. Snow World was a new experience for my kids…trying to get them experience very cold weather in preparation for next christmas vacation (keeping my fingers crossed!). Both my kids enjoyed the slide and keeps on going and going until we have to literally pull them off and leave because i was so cold already. We can borrow everything from jacket to boots to gloves…. didn’t mind much if not sanitized ( as far as i can see) but still a new experience for my kids..Not bad at all…. The place was ok and not the same way was we thought from outside. However that was the first time experience for my family members, so they had fun. Jackets,Gloves and boots are provided, but was not well organised as people were rushing to take it out of the basket all at the same time. Lockers were available to keep our belongings, no charge for that. Unfortunately we are not allowed to take our cameras inside and the photographers inside had to take it for us. Photos can be purchased outside by showing the slips given. every photo costs 50MYR. U may get discount if 3 or 4 photos are taken. Not a great experience, but if you are first timer, do give it a shot. I’m not religious, but this place is an example of the power of belief. They don’t charge money to enter, as is everything else in Genting, and it is the only place there that is well maintained. The sites are breath taking and the people there can comprehend the English language. The only place I enjoyed while wasting my time and money to the thieves on top of the hill. May God, by that I mean the universal ruler of us all, bless Chin Swee Temple!! Taking the number 5 bay shuttle bus from the First world Hotel summit gets you to the Temple within a quick 5 minutes. One discovers initially that the complex provides accommodation and a large vegetarian restaurant of un known stature. It is easy to spend a couple of hours here as there is much to see for those who are interested in religion and Buddhism. There is a most magnificent 15 metre Budda that is surrounded by a host of artificial caves depicting various forms of torture and punishment through colourful figures. The Pagoda is the central feature and is some 9 levels with tight circular staircase ensuring that you gain height with a dizzy outlook. Like most attractions on the mount the mist comes and goes but the fresh clean air is refreshing and becoming a luxury if you are a City dweller. The Temple namesake is an underground feature that was the initial project by the man who first built a hotel and casino on the peak. 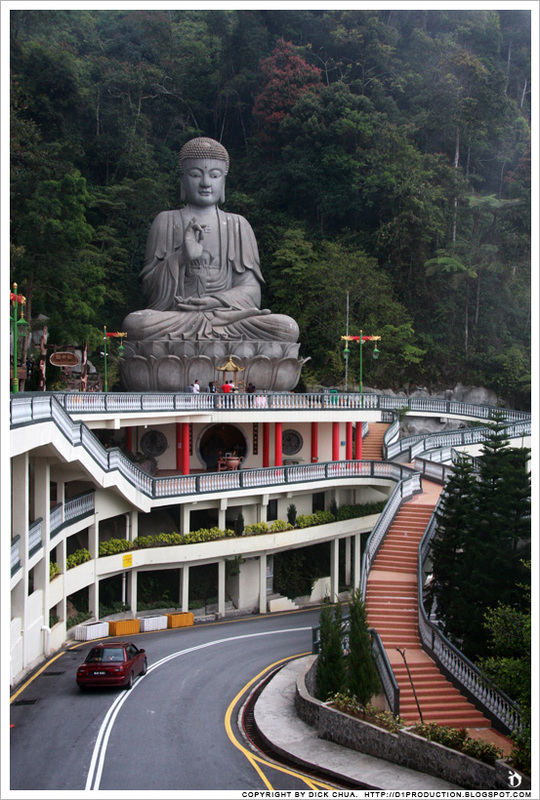 If you have travelled to Genting, this attraction is a must see on the list of key Malaysian highlights. Breath-taking. A jewel in Genting’s crown. You would think this temple complex would regularly appear on guide book and magazine covers and be ranked among ‘Asia’s Top 10 Places to See in 2013’ and other such lists. It isn’t – which is partly appropriate given its nature as a place of worship for Buddhists. But it’s sad to see how few people among the crowds of visitors who are thronging Genting’s malls and casinos just up the hill actually make the trek or take the cable car to explore this place. In addition to the temples – which, when the highland fog blows in, take on a truly magical look and feel, there is an intricate series of small caves and grottoes, filled with statues depicting Buddhist and Taoist visions of hell and the underworld. Very valuable not just aesthetically but also as a 3-D learning material for anyone who ever took a college course in Asian/Chinese civilization. I’ve been to a lot of temples in Malaysia and this is by far the most beautiful place. The view from the pagoda is breath-taking. I only managed to climb to floor 3 because of time permit and it already took my breath away, imagine being all the way up the top! I notice there was a sign for “accommodation” so I guess you could stay there but you’d need to contact the temple directly? It’s touted as the longest and fastest cable car ride in Southeast Asia. It’s one of the, if not the best since the outdoor theme park has shut down, attractions in Genting. Soak in the natural sounds and view of the surrounding forest. This ride is especially magical during sunsets. 1) enjoy going up in the clouds in Gandola. 2) enjoy one of the best attraction of KL with highest value to price ratio. 3) enjoy man made marvel with an extra-ordinary panoramic view through out the ride. 4) absorb the great scenary around you with slow and steady speed of gandola. 5) get goosebumps when gandola get the jerks while moving between the rollers. We took ride with cable car in the sky and it was good enjoyable experience.but don’t go in night as you can’t see any thing in the dark.better to travell in day time so can see every side. Boarded the resort bus at KL sentral. Purchased packaged tickets for the bus trip, sky way,snow world and indoor theme park. 30 minutes drive will take us to the skyway boarding station. After which comes the thrilling 20 minute ride to the top. Such an amazing experience it is. We went around 10 am, but still there was a complete mist cover. The ride was very safe, not even a single jerk. There are small windows for ventilation. Lots of snaps all the way up. But when we returned around 3 o clock there was a long queue waiting for boarding. So better rush up in the morning. As mentioned a few comments ago, the Sky Venture is the vertical wind tunnel in the theme park, not the Skyway cable car. The cable car ride is good, but the wind tunnel is amazing. For 50 ringgits, or 38 if you have a theme park day pass, you can experience what it feels like to jump out of an aeroplane with no parachute!! You have to weigh less than 96 kilos and then you dress in a boiler suite, ear plugs, goggles and helmet and are given a lesson in what to do. They then switch on the power and you ‘fly’ above the 190 kilometres per hour wind. Some people are better than others but as long as you stay straight you can fly up in to the air. You get two goes of a minute each time, and believe me, it doesn’t sound long, but it is incredible. The adrenalin rush is fantastic. If you like gambling, trying out your luck at the slot machines, or hitting jackpots at the end of the day, the casinos are definitely for you. There are actually several casinos located in different hotels, with each catering to different types of players. Some casinos have a more exclusive atmosphere; others are more catering towards the mainstream gamblers. All casinos are opened 24/7 and there are approximately 3000+ slot machines as well as 500 tables where you can try you luck on. Genting Highlands is well known for shows and special performance such as singing competition, big stars performance, magic shows, fantasy and wonderland shows such as Disney on Ice, etc. You can find a list of shows in Genting website. You can find out the price and book online from the website. These shows are all year round and are usually held in the weekend. Accommodation atop Genting Highlands is aplenty with numerous apartments and hotels to choose from, including the First World Hotel and Plaza, reputedly the world’s largest integrated entertainment complex. The combination of all these attractions, together with over 80 international and local food and beverage outlets, 70 alluring shopping outlets, and much much more, certainly makes this City of Entertainment live up to its name. Moreover, try your hand at the Casino de Genting, check out the many internationally renowned performances, or simply take in a leisurely game of golf. Whatever your fancy, this fast paced hill resort promises you endless hours of round-the-clock fun. 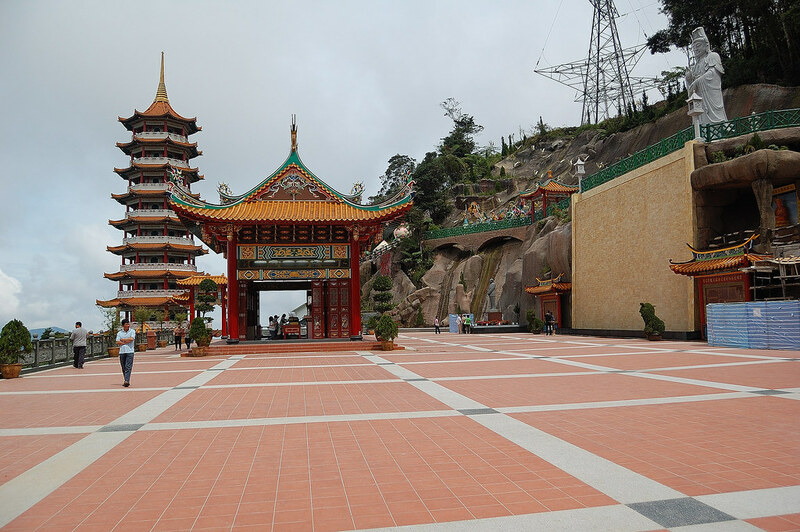 Fifty-one kilometers northeast of Kuala Lumpur, Genting Highlands is accessible via the new scenic 6-lane Karak Highway or the Batang Kali Road up north. At its foot lies a rest and recreational area where you can indulge in a quick mean or shop for groceries before continuing your journey up the hill. Midway, lies Gohtong Jaya and the 5-star Awana Genting Highlands Golf & Country Resort. At Gohtong Jaya, you will find several good restaurants, while Awana Genting offers well-appointed guest rooms, an award-winning 18-hole golf course and an eco-sports center wit over 30 innovative recreational activities. The nearby Awana Horse Ranch offers good horse riding facilities while the other ornate Chin Swee Temple serves as a spiritual retreat. To get to the summit, you can board a cable car at the Awana Lower Skyway Statin that will take you straight up to the Genting Hotel. Alternatively, take the 3.4-kilomete cabe car ride near the Awana Horse Ranch, which will link you to the Highland Hotel. Both rides offer you panoramic views of lush tropical rainforest and the environs. The resort has its own fleet of luxury shuttle coaches to ferry guests from the Kuala Lumpur International Airport (KLIA) via the KL Sentral Station to Genting and back. Alternatively, passengers taking the KLIA Ekspres from KLIA to KL Sentral Station, can board the express shuttle service to Genting Highlands at KL Sentral. Genting Express Bus services are available from any of the following locations to the Genting Lower Skyway Station near the Awana Horse Ranch. If you are driving, do not overload your vehicle on the way up the hill, as the roads are rather steep. Ensure your car brakes are functioning well for the trip to Genting. Above all, drive carefully as there are many precarious bends and heavy traffic during public holidays. During poor visibility or misty conditions, it is advisable to avoid driving up to the resort. For more pictures of Genting Highlands, please visit the following flickr photostream. It’s Small But It’s Delicious!